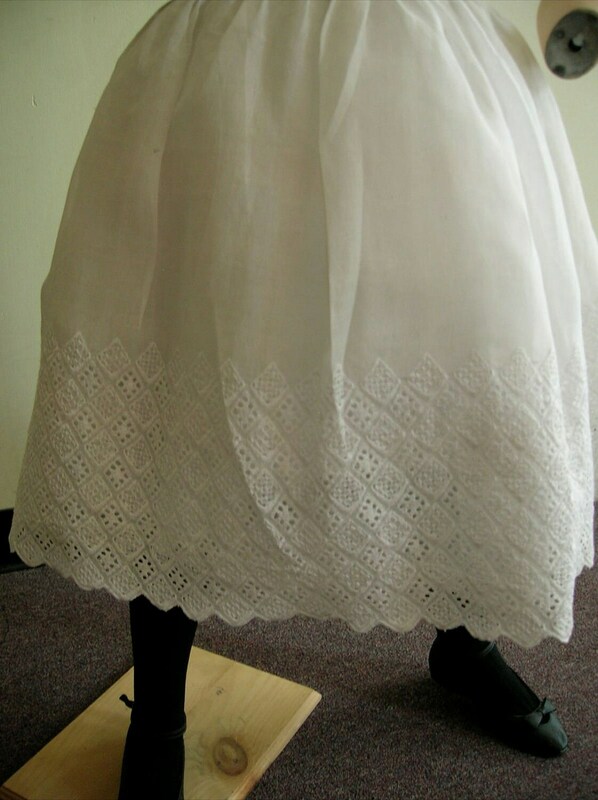 1950's Girl's white organdy dress, with wide eyelet edging at bottom of dress. Dress is sleeveless, with a shallow round scoop neck, edged with a narrow band of eyelet. Dress is straight to waist band. Five round plastic white buttons, fasten dress at back.